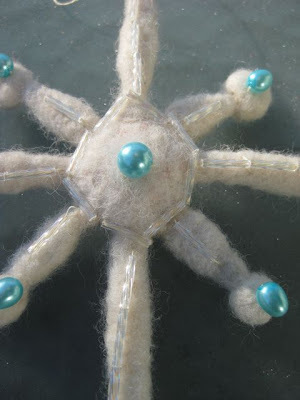 I'm still on my felting kick. 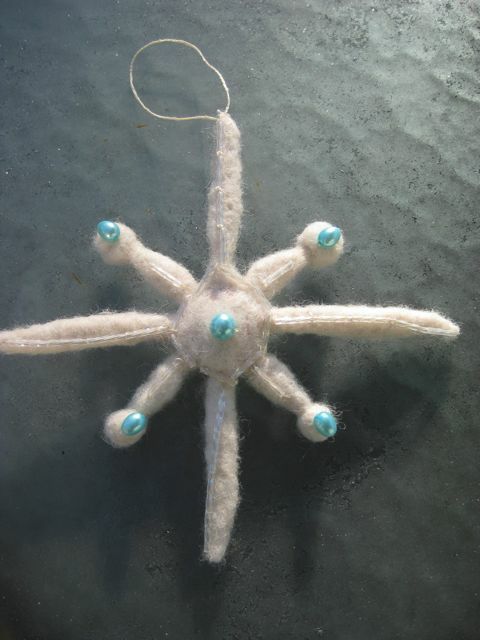 I've finished the needle felted snowflake by adding some beads. I had these little glass ones that screamed "Icicle" to me and I just love this frosty sort of blue against the cream wool. My beading skills are lacking (OK nonexistent) but I'm happy with the results. 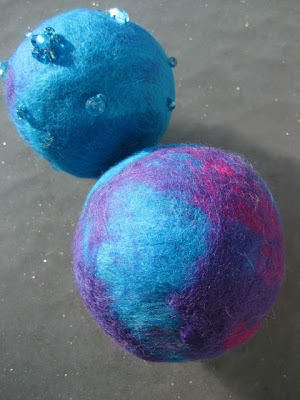 I've been dying to try this tutorial from Painted Threads Projects for felted ornament balls, which I recently saw on CraftyPod. This past weekend I tried making some with my mother in law. I had a great time making them with her and hoped to be able to give her a really nice finished one for her tree but I think I need a little more practice on the technique. 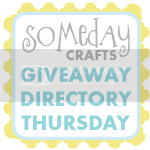 I didn't get the lovely wispy blended colors that I loved the instant I saw the tutorial- they came out more blotchy than I had hoped.